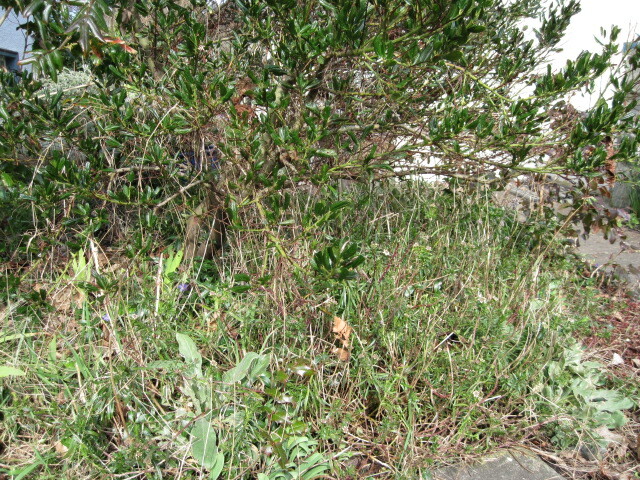 Under a rather lopsided ceanothus bush is a convention of thug plants, most notably a relentlessly pushy periwinkle (Vinca minor) and a sneaky grass that I have no hope of identifying. The former is a self-inflicted pest; I suspect the latter invaded from my neighbor’s lawn. 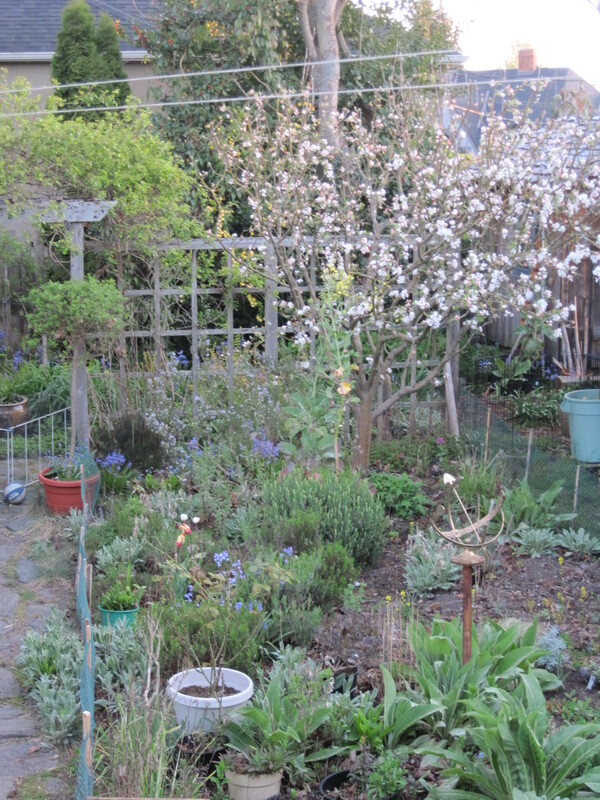 A few other tough characters have swaggered into the mix — suckers (or possibly seedlings) from a handsome and vigorous Oregon grape (Mahonia aquifolium) I planted years ago, and a gang of less vicious but still formidable specimens of seedy plants such as toadflax (Linaria purpurea) and peach-leaf bellflower (Campanula persicifolia). Rooting around in this danger zone,frantically ripping out periwinkle, I came upon several corpses — the stump of a fancy French lavender that perished in a hard winter some years ago, and remains of long-dead valerians (Centranthus ruber) whose descendants still bloom at the same time as the ceanothus, presenting a nice (if naive) contrast of powder blue and deep pink. 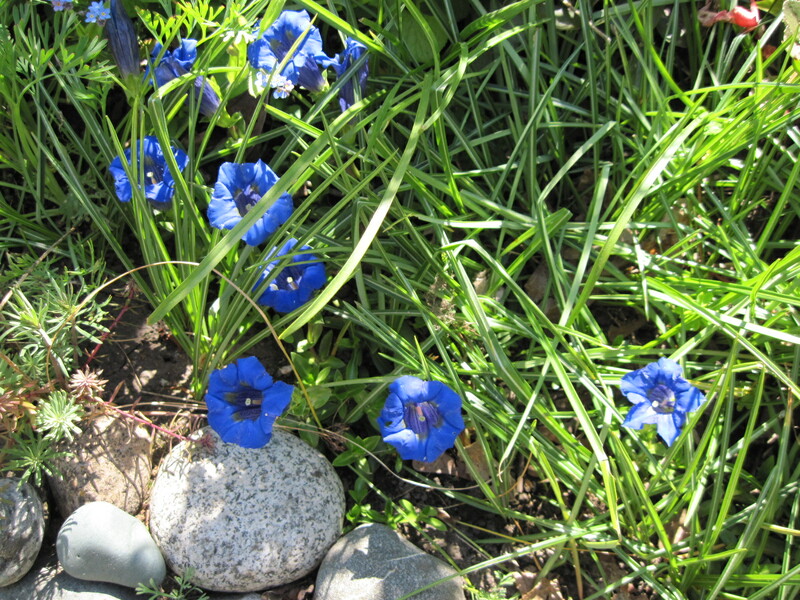 There were also a few clumps of irises (purple-blue ones, I recall from the last time I saw them bloom), looking somewhat anemic and possibly grateful to be rescued from the mob. I’ve been eying this area nervously for years (easy to do since it’s close to the front door of my house) and thinking that Something Must Be Done — just not now. Well, this spring it’s time for urban renewal. 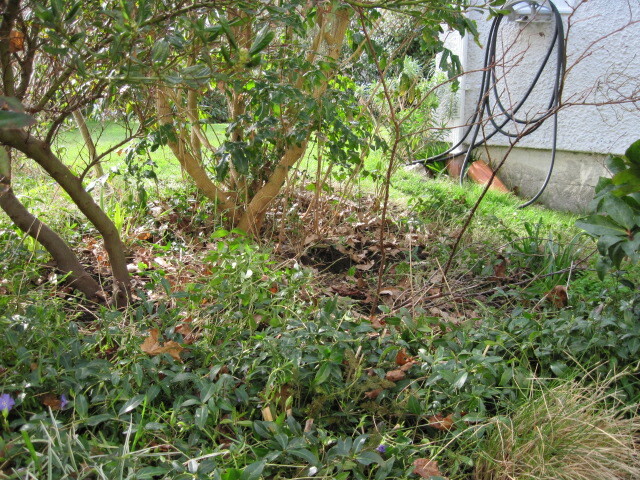 In the process of digging out a superfluous clump of Oregon grape last weekend, I realized that despite its problems, this spot is not infested with a mat of tree roots. In my garden, that’s prime real estate. My first idea was simply to reduce the periwinkle and remove as much as I could of the invading grass, although experience tells me that fight will end in a standoff rather than a victory. Then I would improve the soil and plant some bulbs for spring and fall — crocus, Chionodoxa, colchicums — stuff like that. I would keep a watch on the periwinkle and its thuggy pals, and life would be beautiful. Then I got a bit more ambitious. The ceanothus has blue flowers. I love blue flowers. Why not make this a little enclave of blues? 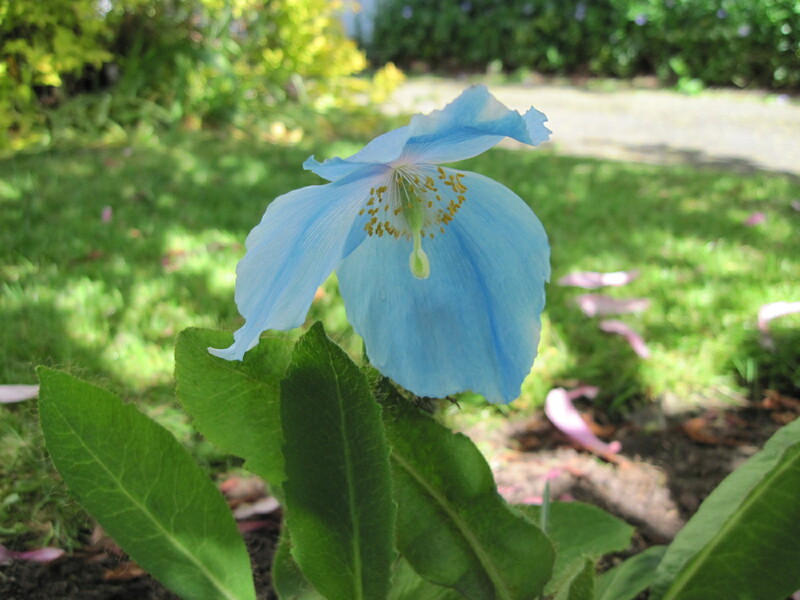 Rip out all the periwinkle and replace it with plumbago (Ceratostigma plumbaginoides) and add a few clumps of the blue poppy (Meconopsis) of which I have about half a dozen growing in pots. 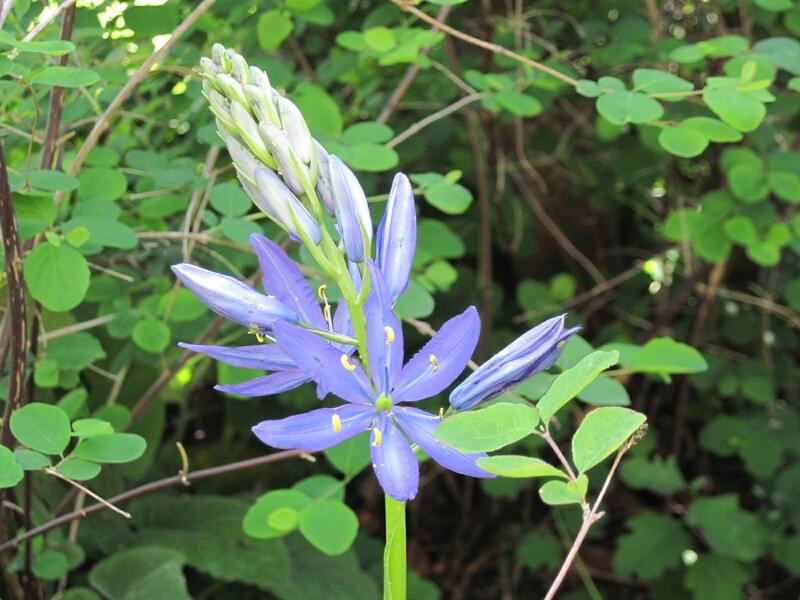 And Chionodoxa, which blooms a heavenly blue in early spring. 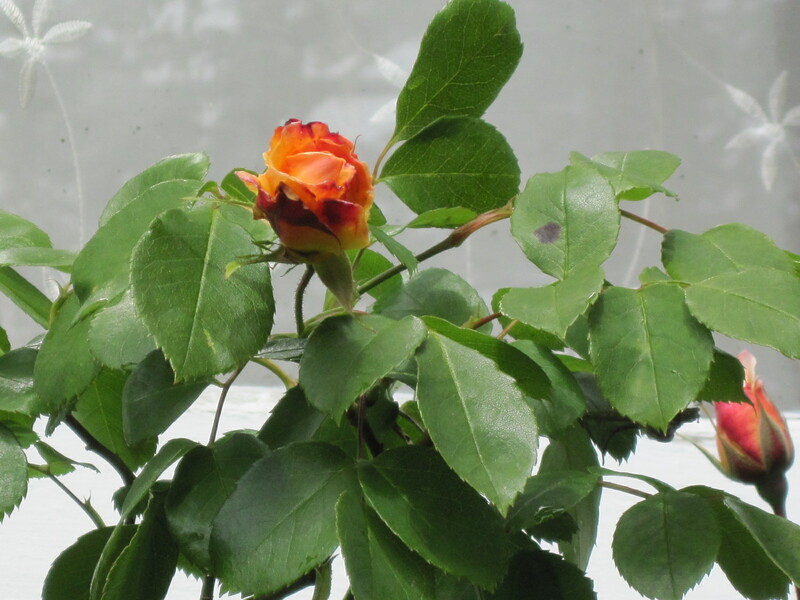 Some say that the best gardening is done in the mind.